We have fantastic news! 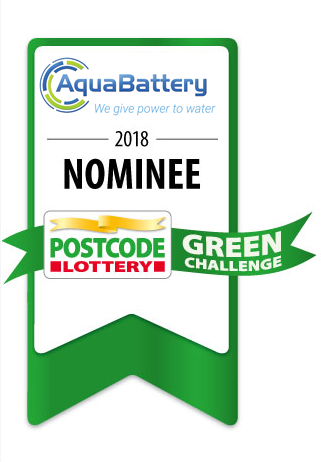 AquaBattery has been selected as one of the 5 finalists for the Postcode Lottery Green Challenge 2018. This is one of the world’s largest annual competitions for sustainable entrepreneurship and we’ve been chosen from 845 applications from around the world. We’re in the running to win €500,000 to further develop our Blue Battery in order to speed up our market introduction. The company that is the runner-up will receive €200,000 and the three other finalists will receive €100,000 each. On 13 September we will have to compete against the other four finalists competing in Amsterdam for the grand prize. So stay tuned! For more information visit the website of the Green Challenge competition.